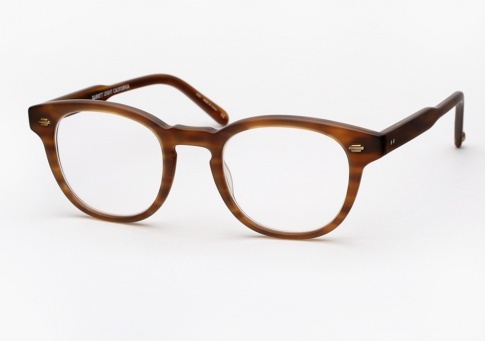 Garrett Leight Warren - Matte Demi Blonde (Eye) Need Help? Garrett Leight's Warren is a timeless unisex eyeglass with classic proportions. It features vintage detailing with modern touches, and gorgeous acetate combinations. Additionally its riveted 5-barrell hinges offer strength and durability. It is offered here in "Matte Demi Blonde". Hand drilled riveted 5-barrell hinges plated in gold and silver.